Summing up, November was an amazing month for Krisp full of achievements and surprises! We’re extremely proud to share with you some of the most exciting things that happened with Krisp app during the last couple of weeks. Before we managed to announce the launch of public beta, Krisp managed to become #1 on Product Hunt and #3 on Hacker News. And all of this in just one week! 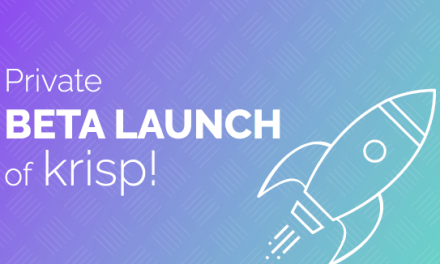 Krisp is now in Public Beta! 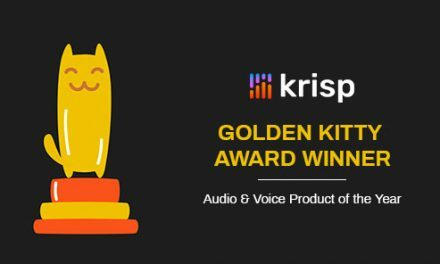 We’ve built Krisp — the best noise suppression tool which uses artificial intelligence to recognize and remove background noise in real-time on both sides of the call. This means that you can you can SPEAK and LISTEN without noise anytime and anywhere while enjoying the flexibility of your work without wasting time searching for a quiet place. After polishing the app for the past few months during private beta, we’re finally opening Krisp for everyone to download and try it. And we couldn’t be more excited for you to check it out. Visit krisp.ai, install the app and start your first noiseless call. Easy as that. Krisp works with more than 150 conferencing and streaming apps out of the box. 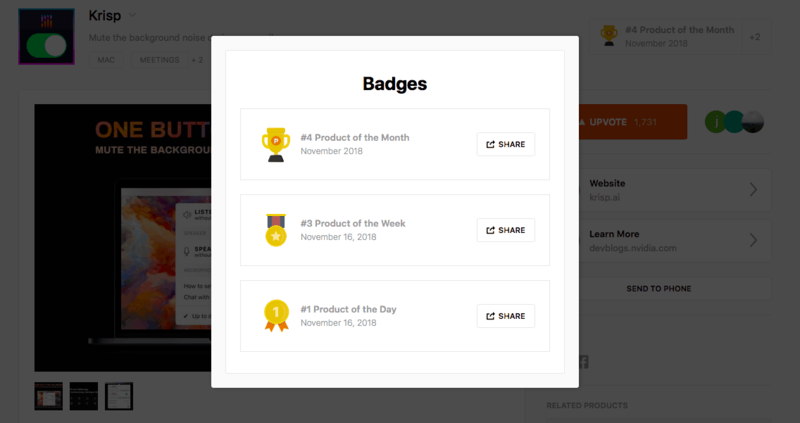 We recently launched on Product Hunt and it happened totally accidentally. 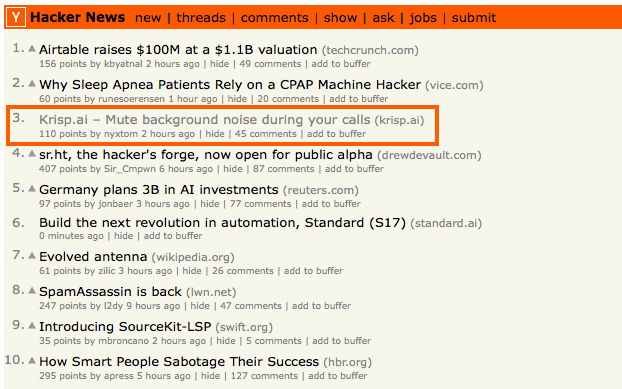 Another highlight of the week — Krisp reached TOP 3 on Hacker News. As one of the users on Hacker News mentioned “…looks like it [Krisp] got the HN Hug”. What’s Hacker News Hug you ask? We didn’t know that either until we saw Krisp accidentally trending on Hacker News! The news about Krisp app received over 300 points and there was a good discussion under the story as well, with over 100 comments. Excited as children on Christmas morning, our team watched how Krisp was gradually rising in position on Hacker News. 10th… 5th… 3rd! It stayed on the first page in Top 10 for more than 14 long hours! Now it’s your turn to have noiseless calls! Check out Krisp and let us know what you think! Since the launch, we’ve welcomed thousands of our Beta Heroes who have embarked on a journey with us to battle the noise. As a result, thousands of conference calls were made and more than 1 million minutes of noise were cleaned. Our users come from over 140 countries, have different backgrounds and jobs, but all share one desire — to make calls from anywhere and any time without noise. As you read this, someone is working on Krisp to make it better for you. So feel free to reach out to us via email, find us on Facebook and Twitter, or leave us your feedback directly on our website.